DRNA ---> Made a strong trade session with heavy bullish volume, crossing and closing above its 50EMA and above its Upper Bollinger Band Line. Accumulation and Buying Pressure shot higher too, which me to believe that this upside movement is just in the beginning. 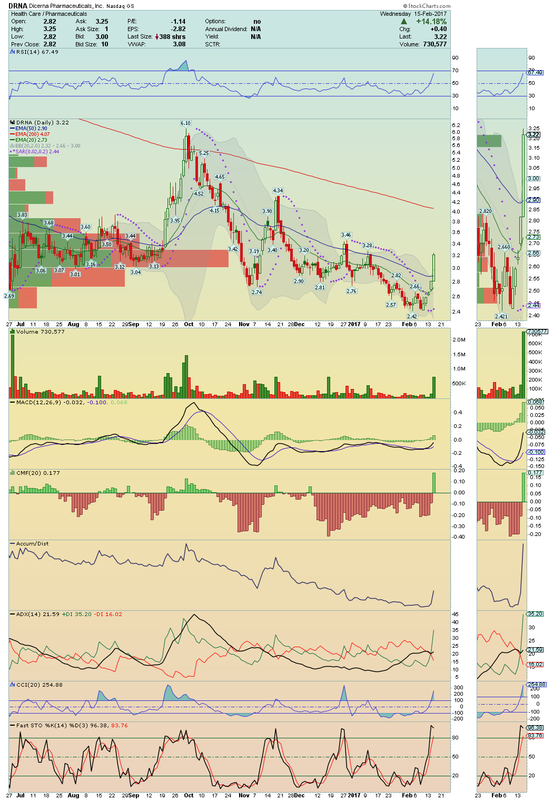 If break above $3.46 on volume, it could see its 200EMA fast! Stay tuned. PRKR ---> Buyers are in charge! It could jump higher on the confirmation of the break above its 50EMA. 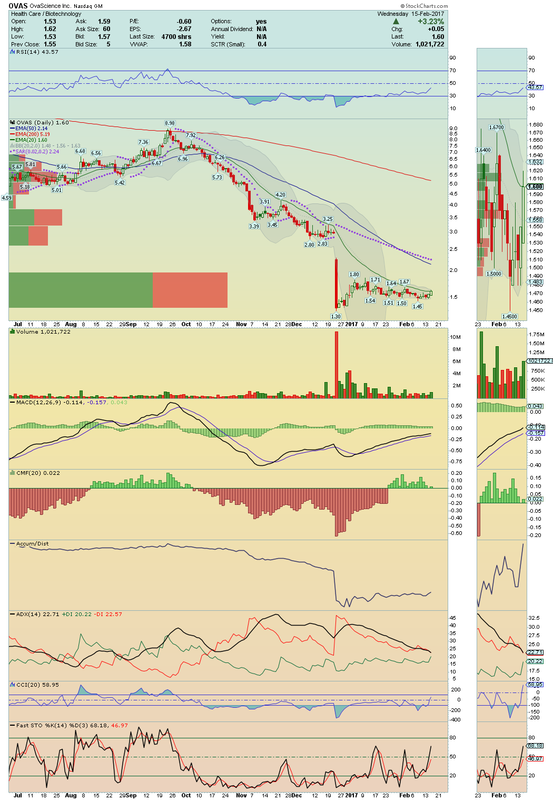 TRIL ---> Is ready for the next round up now that it broke above its 50EMA and above its Upper Bollinger Band Line. It is under high Buying Pressure maybe because of " ... announced that it will present new data from the Phase 1 trial of its anti-CD47 checkpoint inhibitor TTI-621 at the ASCO-SITC Clinical Immuno-Oncology Symposium on February 24, in Orlando, Florida." 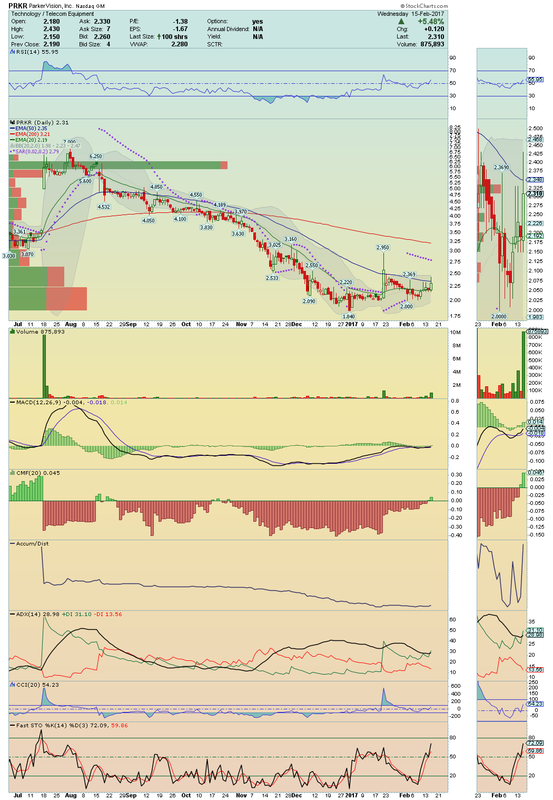 MGNX ---> Great trade session under Volume Accumulation and Buying Pressure. 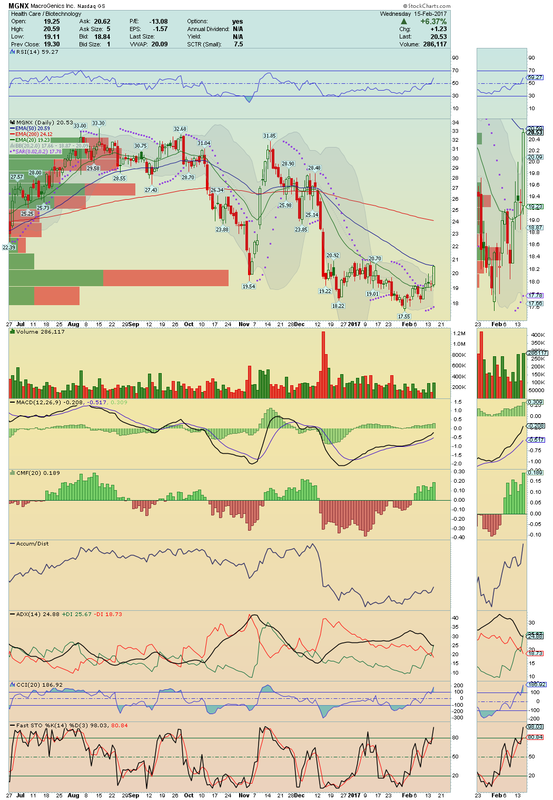 Could make a strong squeeze on the break above its 50EMA. PSIX ---> Ready to continue its recovery! 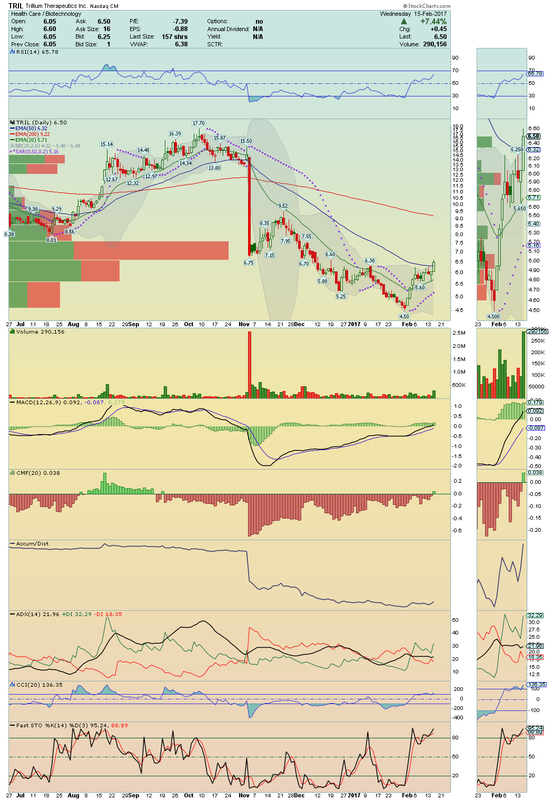 Breakout watch over $3.82. QCOM ---> Broke its 20EMA easily as i expected, confirming its strong recovery! It has now a nice room ahead to climb! With Accumulation rising strongly, it should reach its 50EMA very soon! Worth watching. 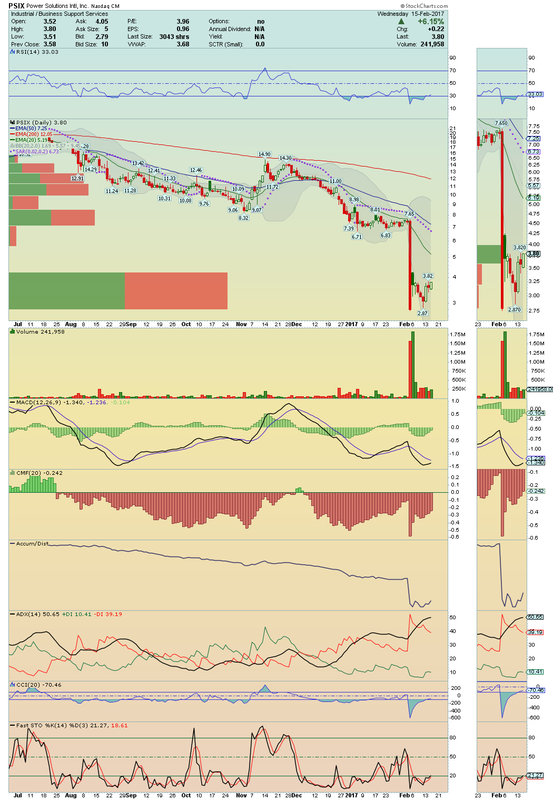 OVAS ---> Broke its 20EMA for the first time since its Big Drop. Volume was good, and Accumulation is rising well! 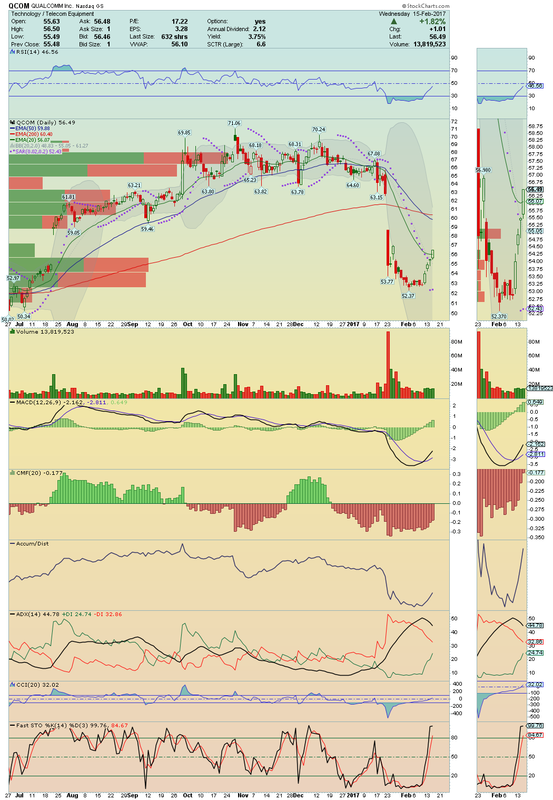 I´ll be watching closely for the break above $1.67 and above its Upper Bollinger Band Line! If do that, we could have here a great short squeeze. keep closely.